Dr. Muneendra Gupta is one of the best Bariatric surgeons in New Delhi and has an experience of over 34 years in this field. He was one of the few to perform Laparoscopic Cholecystectomy in early nineties in Northern India. Since then with singular devotion Dr. Muneendra Gupta has developed Minimal Access surgery for most of the open surgeries as it stands today. Dr. Muneendra Gupta is one of the top Bariatric surgeons in New Delhi and has an experience of over 34 years in this field. Dr. Muneendra Gupta is Senior Consultant Surgeon, General & Laparoscopic surgery ,G.I . Surgery, Bariatric & metabolic surgery at Fortis Hospital, Vasant Kunj, New Delhi and associated hospitals Fortis escorts, Fortis Le femme, Fortis Jashlok. Dr. Muneendra Gupta is a graduate of Maulana Azad Medical College in1976 he did his residency from post graduate institute, Chandigarh in 1978. 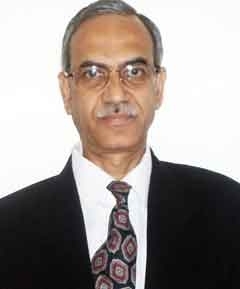 Dr. Muneendra Gupta completed his Senior Residency from Dr.R.M.L.Hosital in1984 to join the surgical Department of Deen Dayal Upadhaya Hospital, New Delhi.